Privilege protects certain information and communication from disclosure. In-house counsel – as legal and business advisers to a company – must understand the limitations of privilege and how best to create and maintain it. As in most jurisdictions, legal privilege in Canada protects certain information and communication from disclosure in litigation, which the Supreme Court of Canada has acknowledged as “essential to the effective operation of the legal system” (R v McClure, 2001 SCC 14, paragraph 31). It is vital for in-house counsel to understand the metes and bounds of privilege and how to ensure that it is created and maintained, as they often wear at least two hats – legal counsel and business adviser to the company. Historically in Canada, there have been two types of privilege: class privilege and case-by-case privilege. The party asserting privilege bears the onus of proving the communication or material is privileged. Class privilege arises where defined conditions are met and includes litigation privilege, common interest privilege, settlement privilege and solicitor-client privilege. The most commonly asserted of these are solicitor-client and litigation privilege. Solicitor-client privilege arises where communication between a solicitor and a client entails the seeking or receiving of legal advice and the client intends the communication to be confidential. The mere fact of a discussion between a solicitor and client does not automatically result in privileged communication – legal advice must be provided for the communication to be considered privileged. if innocence is at stake or where it is abrogated by a statute. Solicitor-client privilege is permanent and may only be waived by the client. Litigation privilege is “based upon the need for a protected area to facilitate investigation and preparation of a case for trial by the adversarial advocate” (Blank v Canada (Minister of Justice),  SCR 319, paragraphs 34-41). It applies to counsel-prepared materials (eg, legal opinions and work products) and communications between counsel and third parties or the client and third parties for the dominant purpose of litigation. No privilege attaches to documents created for any reason other than litigation. Even then, such documents must have been prepared once the prospect of litigation is a reality or litigation has started. Litigation privilege does not cover facts underlying the communication – which are discoverable – and lapses when the related litigation concludes (unless future litigation between the same or related parties on a related matter is foreseeable or pending). A common interest privilege may arise when two parties which are separately represented have a “common interest” in the outcome of litigation and share information, legal advice and work product(s) as a result. In this situation, solicitor-client privilege typically does not apply because the solicitor’s advice and work is shared (Pritchard v Ontario (Human Rights Commission),  1 SCR 809, paragraphs 22-24). the injury by disclosure must be greater than the benefit gained by disclosure for litigation. This category of privilege is usually asserted as a last resort, as there is no presumption that it exists. insisting that the people to whom the advice is communicated confirm their agreement to keep the advice confidential. Typically, the fewer the people who receive privileged information, the better positioned the company will be to assert privilege over it. Difficulties can arise when a company wishes to share legal advice with a third party (eg, a potential investor or financial institution). The location of the investor or institution, in terms of country or even state, is a relevant consideration in assessing how to protect the privilege in the communication. There is an obvious need in certain cases for privileged communications, such as non-infringement opinions, to be shared with potential investors that may not invest without knowing a key element of the associated risk. Companies usually try to preserve privilege in such cases by insisting the investor sign a non-disclosure agreement that would apply to any written legal opinion distributed to the investor, as well as any oral update. However, a more conservative approach would be for counsel to attend investor meetings and advise the investors in person of the substance of the opinion, without necessarily disclosing the particulars, after they have signed the non-disclosure agreement. When communicating an opinion in these circumstances, counsel should consider how much needs to be communicated to comfort the potential investor. For instance, an investor may be satisfied with a verbal explanation of the defences set out in a public document, rather than insisting on receipt of a formal opinion provided by counsel to the company. The more restrictive the disclosure, the better positioned the company will be to protect the privilege in the event that it is challenged in litigation. Potential disclosure arises in the context of litigation in Canada when a party is required to identify in a schedule to its affidavit of documents those documents over which it asserts privilege. In the Federal Court of Canada, where most trademark litigation occurs, the practice is for counsel to use ‘basket’ descriptions instead of specifically listing each document over which a party claims privilege. These ‘baskets’ include litigation privilege, solicitor-client privilege and solicitor-work-product privilege. There are some exceptions to this practice. Conversely, in the provincial courts of Ontario, for example, the common practice is for the parties to prepare privilege logs that identify each specific communication or document and the asserted privilege. As such, in-house counsel must be in a position to defend the privilege in each of the listed documents in the log, which is assisted by having implemented a process in advance that is designed to protect privilege. In short, having a procedure in place mitigates the risk that privilege in a communication or document may be deemed to have been inadvertently waived. Concern regarding the protection of solicitor-client privilege is warranted. It need hardly be said that solicitor-client privilege is a fundamental tenet of our legal system. The solicitor-client relationship is integral to the administration of justice; privilege encourages the free and full disclosure by the client required to ensure effective legal representation. However, there are many cases in the Ontario and federal courts involving claims of inadvertent waiver of privilege. In determining whether there has been an inadvertent disclosure, the court will consider the intention of the disclosing party. Where there was no intention to waive (demonstrated, for example, by the party taking steps to protect the privilege), the case law has generally upheld theprivilege over the document. However, problems often arise in the litigation context. For instance, where privileged documents are inadvertently sent to the other side (eg, in e-discovery), the practical approach is for counsel to advise the other side of the inadvertent disclosure and request that the documents be quarantined against any further disclosure, followed by seeking a court order, usually on consent, which requires that opposing counsel (and their client) destroy any physical copies and permanently delete any electronic copies of the communication or document. The consequence of a waiver of privilege is that the communications are freely available for use by third parties, including the opposing party in any litigation, meaning that the information contained in them can help to inform the litigation strategy of the opposing party, both in terms of conducting the action and in settlement discussions. There is also some case law suggesting that once the door is open to a privileged topic, it cannot easily be closed, and further information may have to be disclosed. The consequences for a party that has disclosed privileged information may be particularly grave. Lawyers are privileged to serve their clients, which include their corporate employers, but with privilege comes great responsibility. For lawyers, this means being conscious of the need to take steps proactively to protect each privileged communication. Jonathan Colombo is a partner with Bereskin & Parr LLP and the co-leader of the firm’s trademarks practice group. 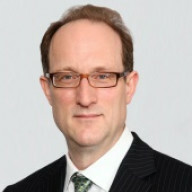 His practice covers all areas of trademark and copyright law including the acquisition, exploitation and enforcement of these rights. He has extensive litigation experience representing many national and international brands. He has also represented clients in advertising disputes. 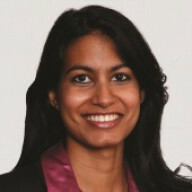 Amrita V Singh is an associate at Bereskin & Parr LLP. Her practice focuses on litigation in all areas of intellectual property, including patents, trademarks, copyright and confidential information. She has significant experience representing many national and international brands and is an active advocate on the national and provincial bar associations.